Lost City Asks, "Who Goes to DeNino's Pizzeria and Tavern?" New York foodies aren't are adventurous as they think. They'll go to Flushing to check out a secret Vietnamese hole in the wall, or Red Hook to source a cart serving a particular Ecuadorian treat. But mention Staten Island—an entire borough belonging to the City—and they'll make with the trite "That's not really New York" and "There's nothing good there" remarks. Happens every time on Eater when I venture to Staten Island for my "Who Goes There?" column. So provincial. But I'll keep going, because so far the island to the south has shown me it can give me this and this and this. I'm sure there's more where that came from. Labels: DeNino's Pizzeria, staten island, who goes there? Milwaukee, I've learned, has—like New York, like Chicago—it's own style of pizza. It's a thin style, which a dry, crackery crust. It is often served in a rectangular shape, as opposed to a circle, and it is invariably sliced in a "party cut" or "tavern cut"—that is, not eight wedges, but innumerable squares. The cheese is, naturally, good quality. And sausage is a prominent topping, as popular as pepperoni, and is frequently of the fennel-flecked lump sort. 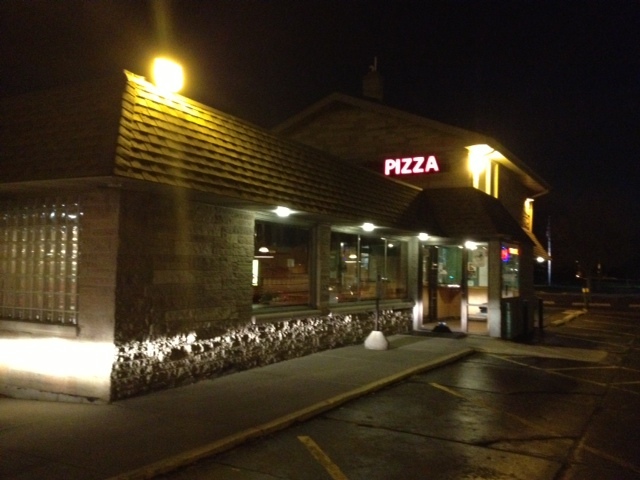 Curious to check this phenomenon out, I paid a call on Marty's Pizza on a recent trip to Cream City. Milwaukee possesses more famous exemplars of the local pizza style—Maria's and Zaffiro's are two renowned practitioners—but Marty's was close to where I was staying, and it has been doing what it's been doing since 1957, so I figured they couldn't be doing it terribly wrong. 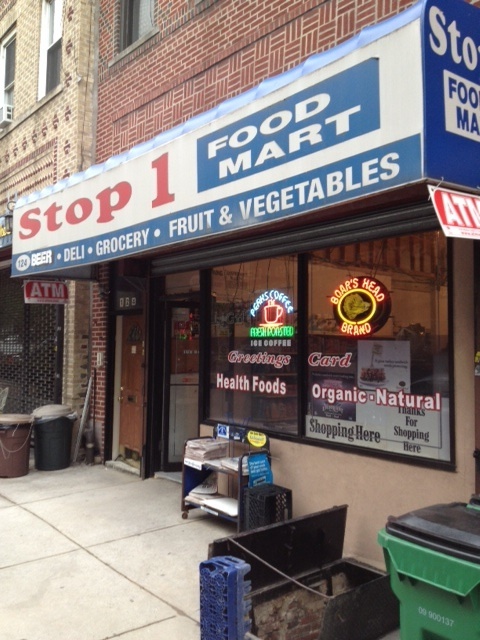 With ninety percent of the bodegas in New York City, you walk in and just go "Ugh." The florescent lighting, the lowered acoustical tile ceilings, the bad tile floor, the thin walls. It's all so ugly, so uninspired. All I can think of when I walk around such places are the beautiful old wooden floors, brick walls and tin ceilings that have been covered up in the name of saving money on heating bills. Liquor, wine and beer? I stopped into the nearby Cafe Pedlar—which has always rented from the owners of Jim & Andy's, to ask what was up. They told me the owner had decided to close the tiny store and only sell vegetables wholesale from now on. This happened more than a month ago. 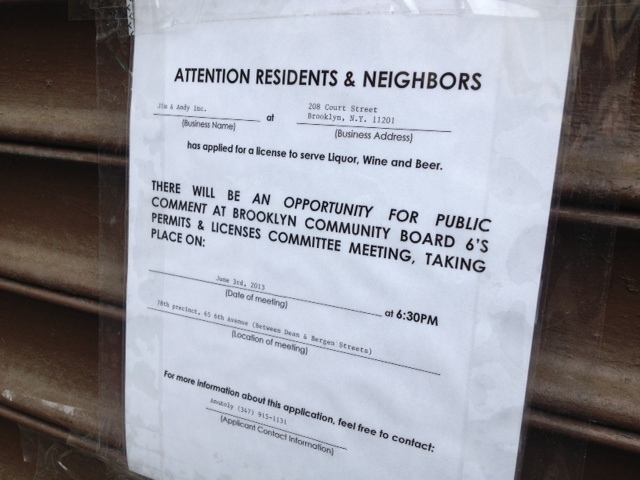 The space is to become an upscale bar, serving cocktails, wine and beer. No word about who will be running it. 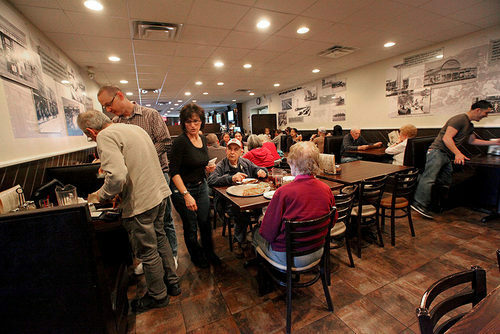 Jim & Andy's was a throwback to South Brooklyn's past. It was an old school green grocer, with one aisle down the middle and boxes of vegetables piled high on either side. You collected your veggies in brown paper bags and brought them to the front, where they were weighed on a hanging scale and given an approximate price. In the past, Frank Sinatra would always be playing on the loudspeakers. It was a father and son operation, but in January 2009 Vincent Cincotta died at the age of 82. He was also known as Jimmy and was the "Jim" or Jim & Andy's. He son, Carmine, carried on. Vincent Cincotta began his career as a horse-and-cart peddler, like his father before him, selling vegetables and fruits door to door, street to street, yelling out his wares. 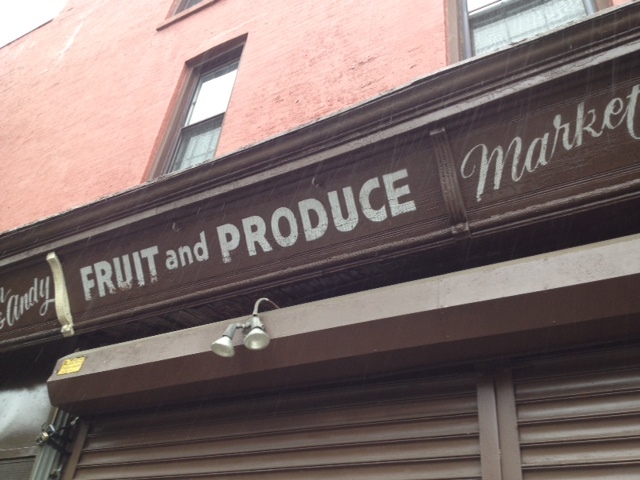 He bought his vegetables at the old West Street Market in Manhattan. When he got older, and that style of selling was fading away, he opened the small store in 1970. At Christmas, he brought out bottles of booze and poured out nips for customers as they left. Jim & Andy's was a part of the neighborhood before Smith Street and Court Street became awash with shops selling artisanal foodstuffs. In the early '90s, Jim & Andy's carried delicacies like Morel mushrooms when no one else in the area did. I bought them there annually for a while; they only had them for a brief window of time. The last time I was there before it closed, I had a longer than usual chat with Carmine, who, with his full head of dark hair and beard, always reminded me a bit of James Brolin. I have no idea how it happened, but somehow the conversation veered to The Beastie Boys. I mentioned being saddened by the news last year that member Adam "MCA" Yauch had died. Carmine said, as if it were nothing, "He used to come in here all the time in the '80s. Nice kid." 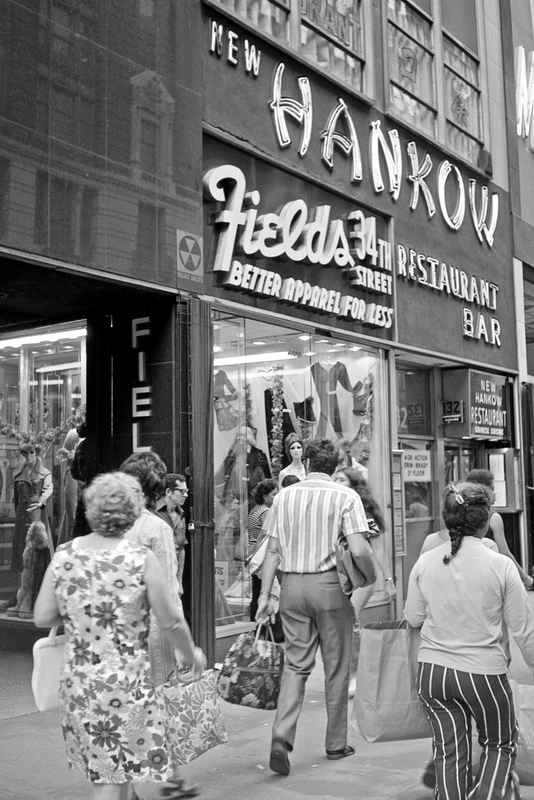 A helpful reader sent me the above photo, an image of the New Hankow Restaurant on 34th Street. I posted something on the history of the Chinese place back in May 2012. The pictures attests to my past report that it was a second-floor restaurant—perched above Field's Better Apparel for Less, as it turns out. Lovely neon sign. All gone know, including the building itself. 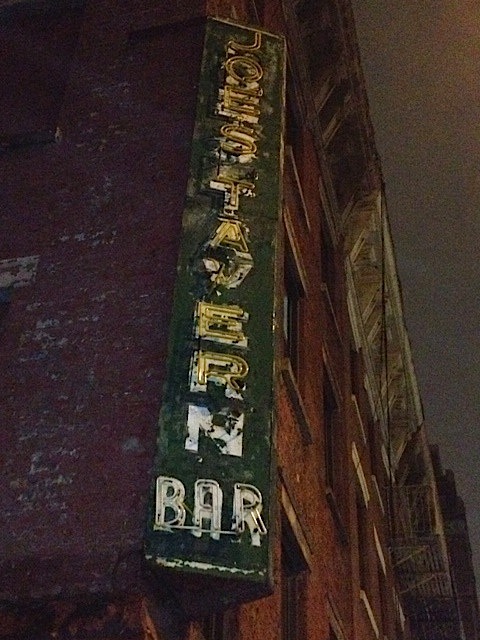 Found this battered old vertical neon sign outside a building way over on 10th Avenue and 25th. Joe's is long gone, and it doesn't look like the ground floor business space has been inhabited for years. I've seen this style of sign, with the horizontal "BAR" tacked on the end, countless times. But the forlorn appearance of this specimen makes it particularly poignant. 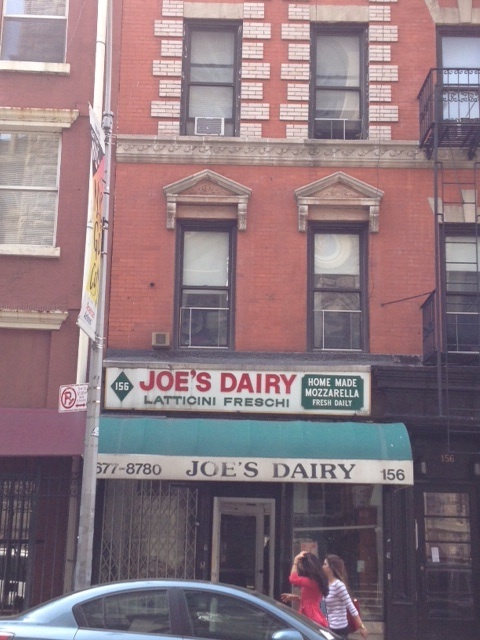 Joe's Dairy closed on Saturday, May 11, after 60 years of doing simple and honest business in SoHo. The closure was the owner's decision. He's decided to continue on doing only wholesale business, not retail. So there's a chance you may still get to eat Joe's peerless cheese at a local restaurant, or buy it at a local store. But where? That remains to be determined. 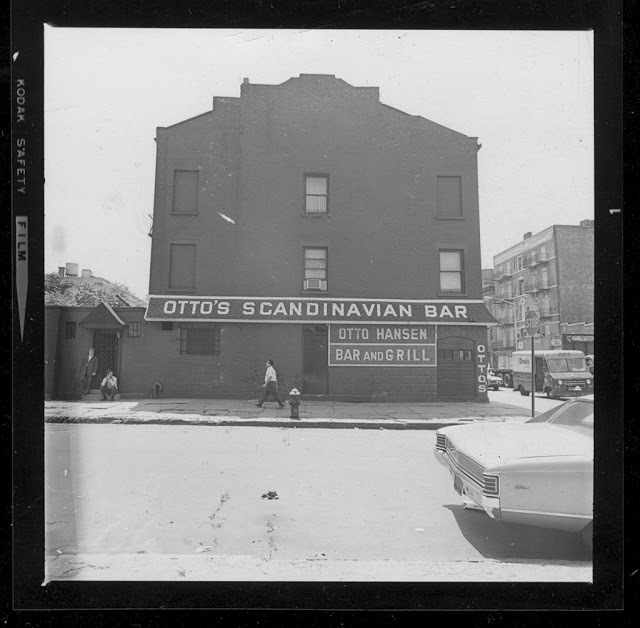 A reader made me very happy yesterday by sending me some new information and photos about one of my favorite lost businesses, Otto's Scandinavian Bar. It stood for many years at the southeast corner of Columbia Street and Kane Street in Brooklyn, near the waterfront, and was, before it finally closed in the 1970s, one of the last remnants of Red Hook's Scandinavian past. 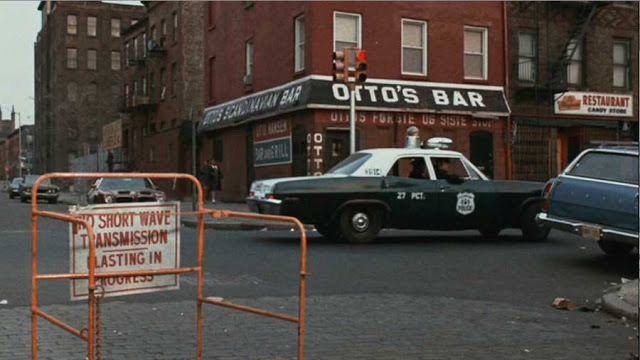 Until now, the only pictorial evidence I've had of Otto's are the photos seen above (from the 1960s) and to the right (a shot from the Jimmy Breslin-inspired 1971 film "The Gang That Couldn't Shoot Straight." You can tell a lot about the age of a building by its door. Having lived in Brownstone Brooklyn for quite some time, I can come upon a ballpark figure of a building's age by eyeing up its door and windows. A dead giveaway that you're looking at one of the older brick homesteads in Brooklyn is a Greek Revival Style door. The Greek Revival Style thrived from the 1820s the 1860s. It was, at the time, a move away from the Federal style that had dominated. The style was used in the construction of churches, banks, town halls, and, of course, houses. As one might expect, a common aspect of the style was columns and pilasters, typically made out of wood, but made to resemble marble. In terms of doorways, the look was austere but elaborate. Small-paned windows framed the door on the sides and top, and the door was bracketed by two columns.